For any of you that don’t know tomorrow, August 8th (8/8/08), The Boredoms will be following up last year’s 77BoaDrum. 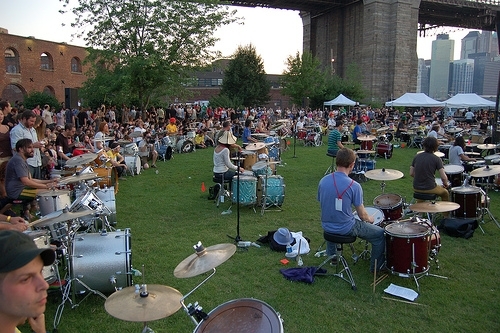 The BoaDrum events are massive drum circles, this year’s will consist of 88 kits, manned by an ever increasing list of impressive musicians performing one epic piece composed by Eye of Boredoms tailored to the event. Last years piece was 77 minutes, this year’s will be 88. 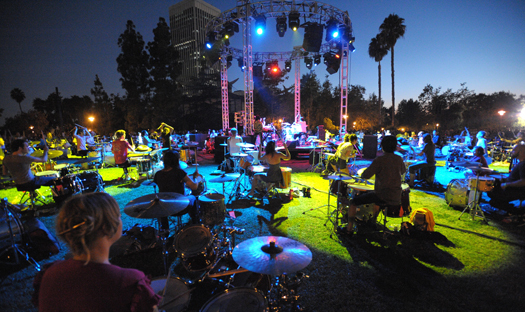 For this year’s event the Boredoms have expanded their vision and will be coordinating two separate circles, one in New York (led by Brooklyn’s Gang Gang Dance) and one in Los Angeles.